Our meeting on the 10th may will be about Mobile Phone Theft, based on a document published by the SA Police, Keeping SA Safe. Bob Parsons will talk about Android Phones, Don Crago will discuss the Apple iPhones. The Forestplace Computer Group meet on the 2nd Thursday of each month at 2:00pm in in the Hall at the Community Centre. Each month we give you an opportunity to bring us any computer problems or suggestions of how we can help you with your computer, your tablet, your laptop, your apple ipad, smart phone or any problems using a program or an app. and we will try to help you. Or perhaps you may be able to help each other. On some months we may invite a speaker to talk to us, or demonstrate something of interest. Everyone is always welcome even if you have not a computer and would like to know a bit more about the technology. Don Crago unit 233, phone 833. Click on the image to get the weather. At first glance, the City of Adelaide’s Ten Gigabit Adelaide project – where it has teamed up TPG Telecom to transform Adelaide into a “city of the future” – has all the hallmarks of a major win for South Australia. Adelaide has three network initiatives under way, including a similarly named GigCity Adelaide network that is collaborating with the Washington-based Ignite GigCity Network. 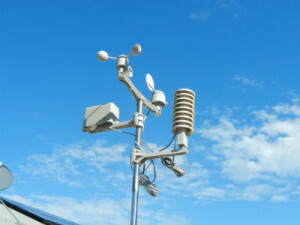 Thanks to Bob Parsons we now have a Weather Station for the village. The station is a Fine Offset 1081 and the software is by Cumulus. The webpage is updated every 30 minutes and historical data is available along with charts. If you want loads of 4G data per month in Australia without paying through the nose or being locked into lengthy plans, then check out Globalgig. Most mobile virtual network operators or MVNO’s offer pre-paid services, but Globalgig is a post-paid provider that has month-to-month plans with no contract lock-in, giving you the flexibility of low rates while accessing additional data if you need it. Using the Optus network in Australia to deliver 4G connectivity, 3 Mobile in the UK for the same, and the 3G networks of other Tier 1 providers around the world, Globalgig’s gig may mean the jig is up for its competitors. The company now offers access to mobile broadband in 84 countries, expanding into many parts of Asia, and has simplified its pricing in the face of more complicated offerings from other telcos. Its new service is now available in three very straightforward post paid plans – 4G Flexi, Go Europe & USA and Go Global. It has been agreed to by LifestyleSA the there will be 2 telephone and Internet providers for the village, Voiteck and Escapenet. Residents are to have the choice of either provider for their services. To get an even playing field both providers will have the same plans and costs involved. A signup visit was held by Voiteck on Thursday 9th July at 9am and representatives were in attendance in the Card Room to answer questions and signup residents. A meeting by Escapenet is to be held on Wednesday 15th July. This will include a 1 hour info session in the Main Hall followed by a representative meeting with residents in the Card Room. Lloyd Davey gave a demonstration of Windows 10 and answered a lot of questions on the subject, he had changed his computer to Windows 10 but after about a week of solid use changed it back to Windows 7. His advice was and still is, wait until Microsoft get their act together. Do Not install Windows 10 at this stage, we hope to be able to advise when it is the right time to update. Have you been waiting for Windows 10 ? How different is Windows 10 ? Where was Windows 9 ? Can you still use older versions of Windows ? Can you upgrade to Windows 10 ? Can you use your existing programs in Windows 10 ? Will Windows 10 work on your computer? How long does it take to upgrade to Windows 10 ? A series of videos were shown at the meeting and are available on the Technology page. On Thursday 10th march 2016 we had a visit by Tara from the Onkaparinga Library who gave a talk on Digital Training. This included Digital Assistance, one on one training, Digital Workshops and Lynda Library at lynda.com. Tara is based at the Hub Library and her talk was very interesting, she is available to help set up your laptops or tablets to connect to the library for books and magazines. I have used Linda Library for a number of years and thanks to the Libraries SA it is free of charge to members, so grab your card click on the link below and see how easy it is to learn all you need to know about all types of software. The Computer Group meeting on 9th June 2016 was all about security, scams and viruses. A demonstration was given from the receiving of an email requesting the person to login and amend their details to the final output of all the data the scammer had gained. I was also requested to show how to stop unsolicited emails from clogging up the inbox, just click the link below. Troubled by unsolicited emails, someone filling up your inbox with trash that you did not ask for, well you can get rid of it.